Rocky Mountain National Park is easily one of my favorite places to visit and photograph. Each year I make a couple of backpacking trips in the park, and I always look forward to them. This time I spent a couple of days exploring and photographing below Notchtop Mountain. These images were all taken at sunrise and hopefully provide a taste of the beauty of this area. 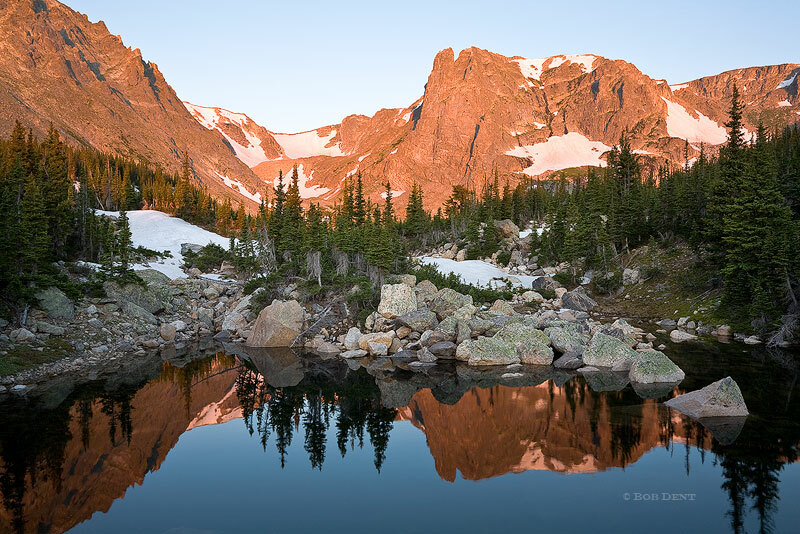 Alpenglow lights up Notchtop Mountain at Two Rivers Lake, Rocky Mountain National Park, Colorado. Photo © copyright by Bob Dent. 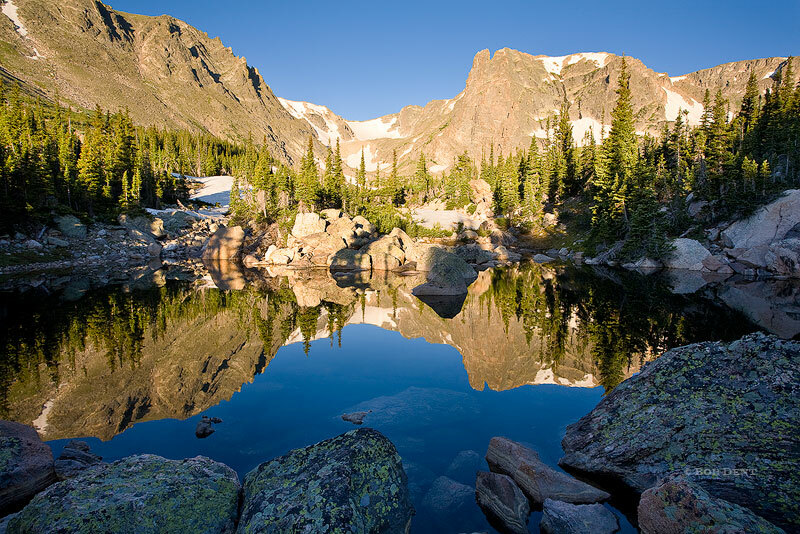 Notchtop Mountain reflects in a tarn near Two Rivers Lake, Rocky Mountain National Park, Colorado. Photo © copyright by Bob Dent. 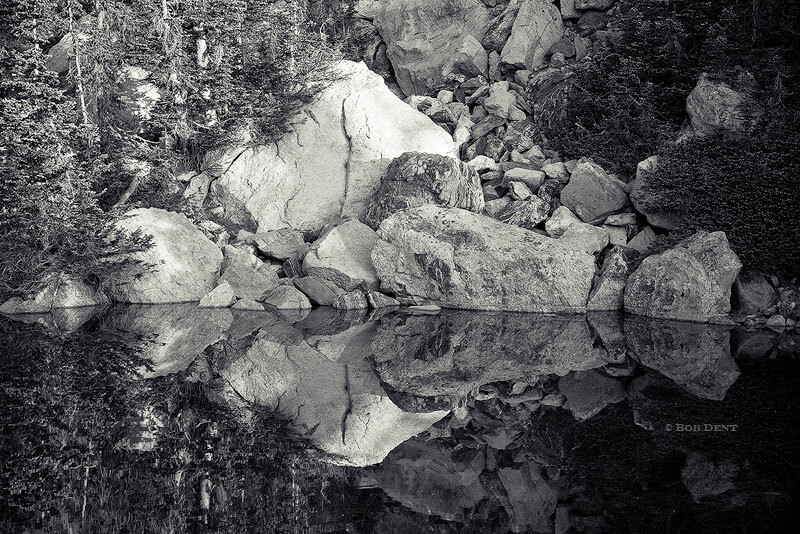 Rock formation reflecting in a tarn along Mill Creek, Rocky Mountain National Park, Colorado. Photo © copyright by Bob Dent. 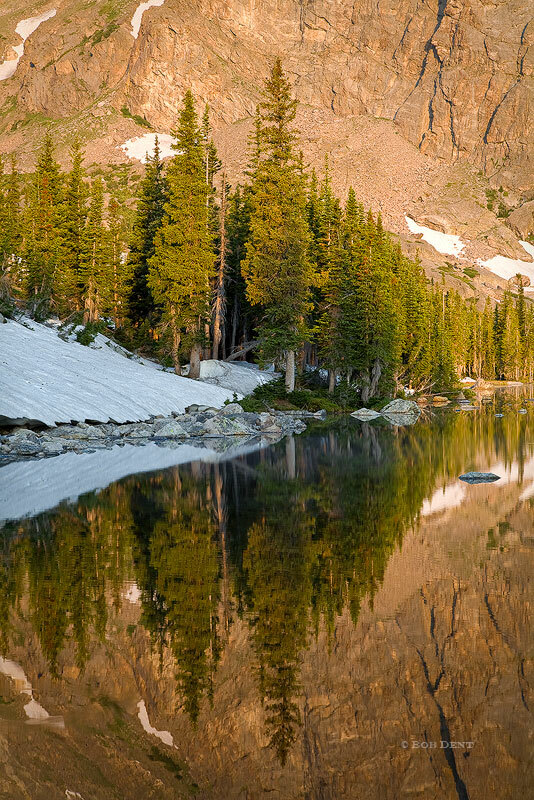 Pine trees reflecting in Two Rivers Lake at sunrise, Rocky Mountain National Park, Colorado. Photo © copyright by Bob Dent. 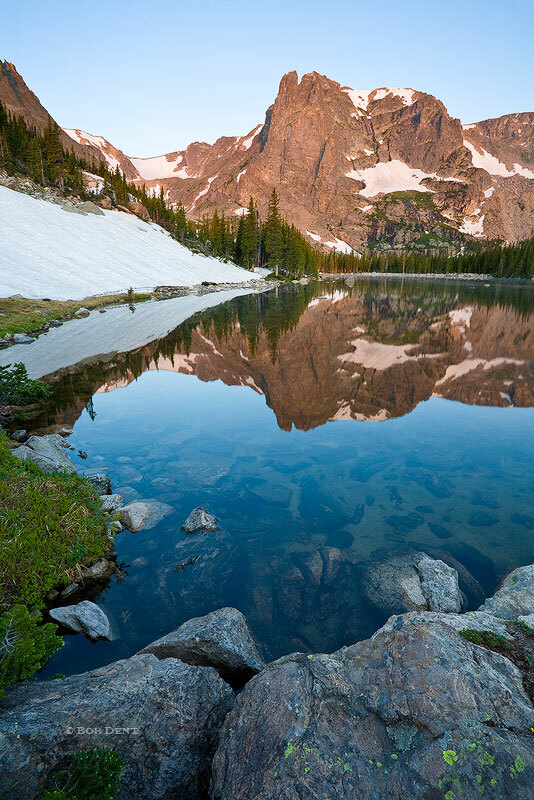 Notchtop Mountain reflecting in a tarn near Two Rivers Lake, Rocky Mountain National Park, Colorado. Photo © copyright by Bob Dent.